Larvae feed on several species of Cassia and Senna, on campus the common species are Cassia fistula and Senna alata. Mature larvae 37 mm long, body green with yellow lateral line; head yellowish-green with numerous small black spots. 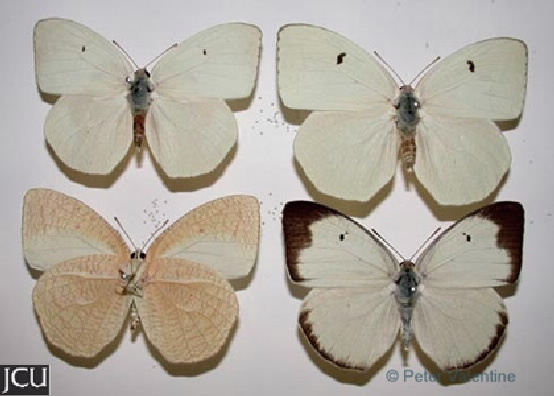 Adults white on upper surface, fore wing has black on outer edge, lower surface white with conspicuous brown striations.